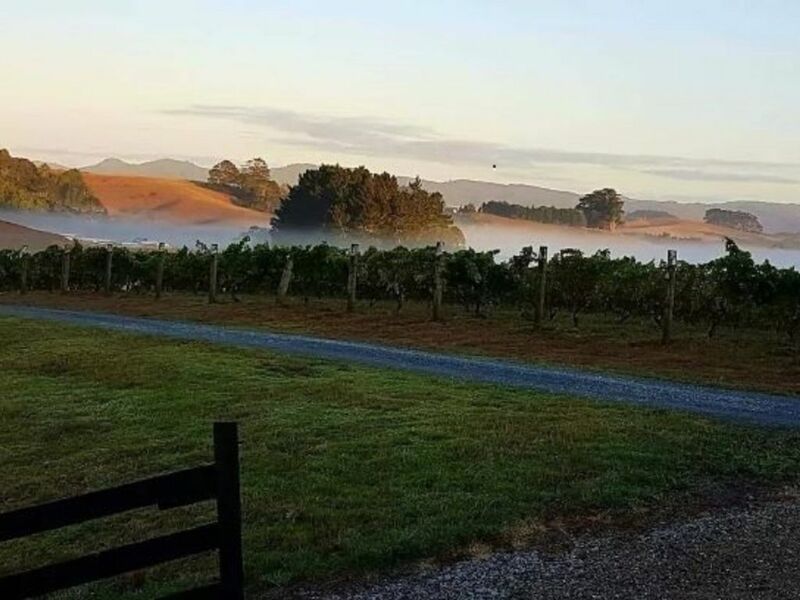 Situated just 5 mins from the centre of both Matakana and Warkworth , overlooking a beautiful private winery, formally the Mahurangi River Winery vineyard, this stunning private cottage is the perfect place to escape to. This cottage, located on a private vineyard is set amongst rolling countryside providing a breathtaking scenery of vineyards, olive trees and lush paddocks. Spend a weekend or a week exploring everything the area has to offer. You won’t be disappointed. With a kitchenette comprising of a toaster, microwave, fridge (to put the wine in, oh and the milk! ), you will be able to enjoy all the comforts whilst taking in the view on the verandah! With nearly everything provided, you will be able to relax, rejuvenate and enjoy the quiet whilst enjoying a wine. Tea and coffee facilities are available and we also provide a continental breakfast for our guests. We have a kitchenette which has a microwave, toaster, kettle, Nespresso and fridge to hold the wine, sorry milk! Beautiful location and lovely view. Close to Auckland and many dining options, not too far away. It was easy to find. We were greeted warmly by a lovely couple. The house was cute and cosy with a relaxing outlook over grape vines on rolling hills. Thanks for staying with us. We are glad enjoyed the cottage and hope you had a great time. We hope you can come back and stay another time. Lovely kind host, made us feel very welcome. Cottage was perfect, light and airy, with a great view over the vineyards. Quite close to the main house but still felt very private. The snacks were a nice touch, the plum jam was absolutely delicious! What an amazing find, great host who provided lots of great local knowledge. Wonderful relaxing views and great hosts. Highly recommend as a place to unwind. Great guests and great people. Hope you come and stay again as we would live to welcome you both back! Great to have you stay and fantastic that you enjoyed it! Please come back again! Great guests.